With the this years Tax deadline (April 30th 2016) fast approaching, we want to ensure that you have everything you need to file. What exactly do you need to file your taxes? 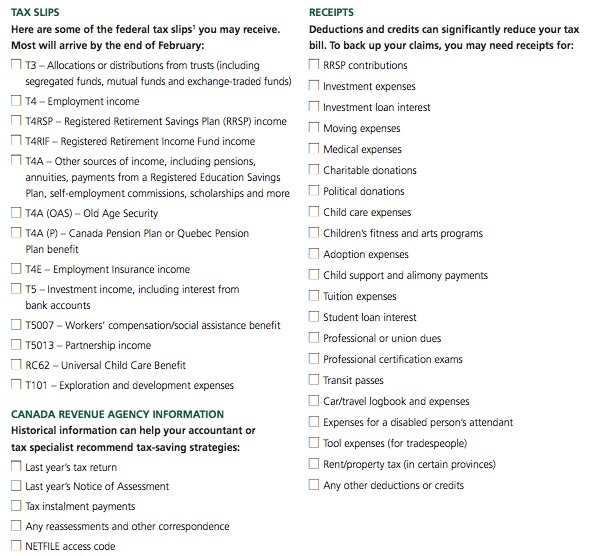 The following checklist has been complied by our friends at Manulife Financial to help you better prepare for filling your taxes. Do you have everything on the list? If you have questions regarding anything on this checklist don't hesitate to contact us. We are here to help! Don't forget-this years Tax deadline is May 2nd 2016.